This is a sequel to the World Scientific volume edited by Gerald E Brown in 1994 entitled "Selected Papers", with Commentary, of 'Tony Hilton Royle Skyrme'. 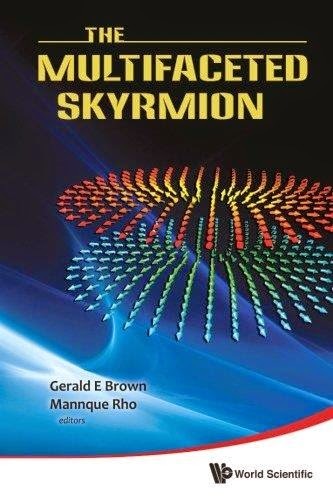 There has been a series of impressive developments in the application of the skyrmion structure to wide-ranging physical phenomena. The first volume was mainly focused on the rediscovery of the skyrmion in 1983 in the context of Quantum Chromodynamics (QCD) and on its striking role in nuclear physics. Since 1994, skyrmions have been found to play an even greater role not only in various aspects of particle physics and astrophysics but also most remarkably in condensed matter physics. It is also proving to be fruitful in dense hadronic matter relevant to compact stars, a system difficult to access by other approaches. The recent discovery of holographic baryons in gravity/gauge duality which correspond to skyrmions in the infinite tower of vector mesons provides a valuable confrontation of string theory with nature, particularly in the regime of strong coupling that QCD proper has difficulty in accessing. This volume consists of contributions from the active researchers who have made important progress in these three areas of theoretical physics - condensed matter physics, nuclear and particle physics, and string theory.